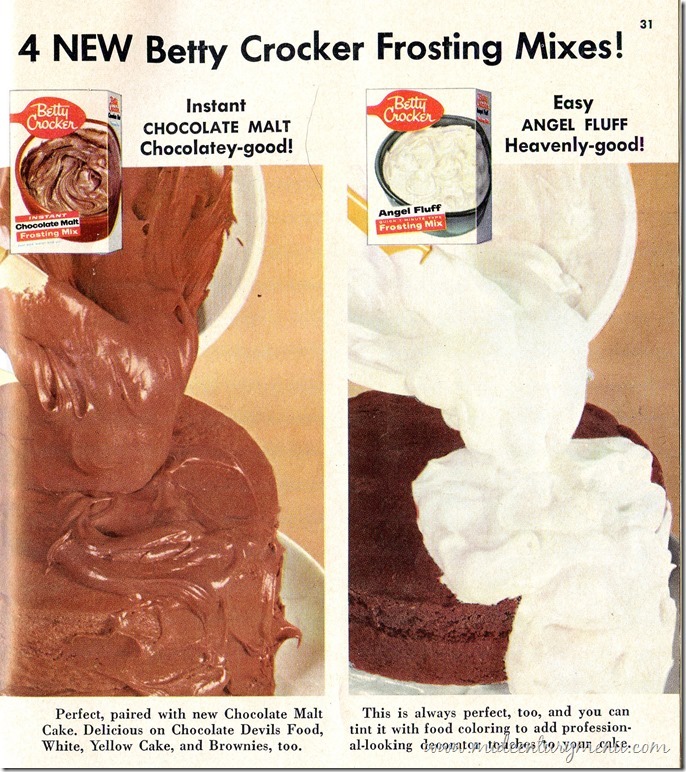 I miss the frosting mixes, much better than the stuff in the can. 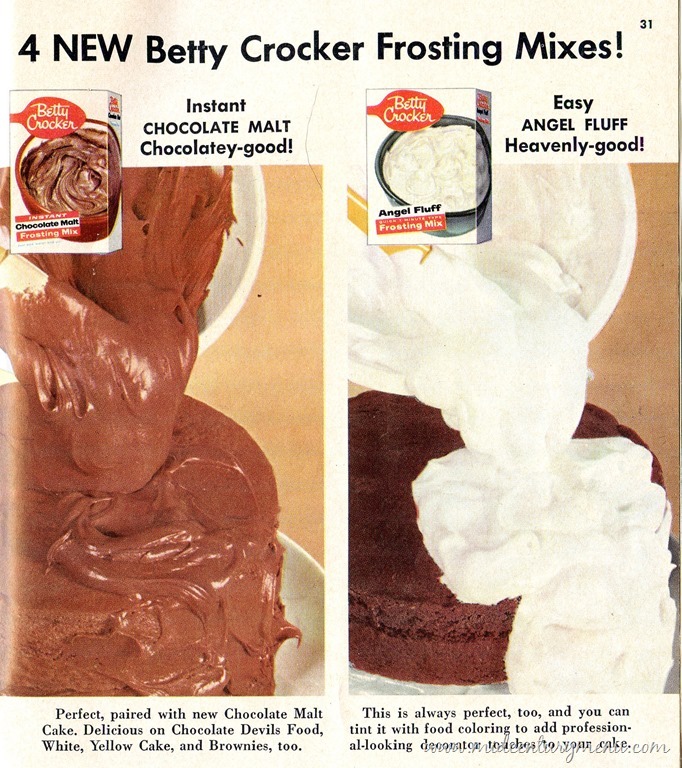 My mom always made the marshmallow Fluffy White frosting mix, really miss that one! Angel Fluff was great. I wish it was still made. too much trouble to add liquid to a dry packaged frosting mix and mix it up, I suppose. 🙁 The canned frosting is so much easier, but IMO it always tastes…yucky. There’s something in there that makes it taste so unctous and artificial. 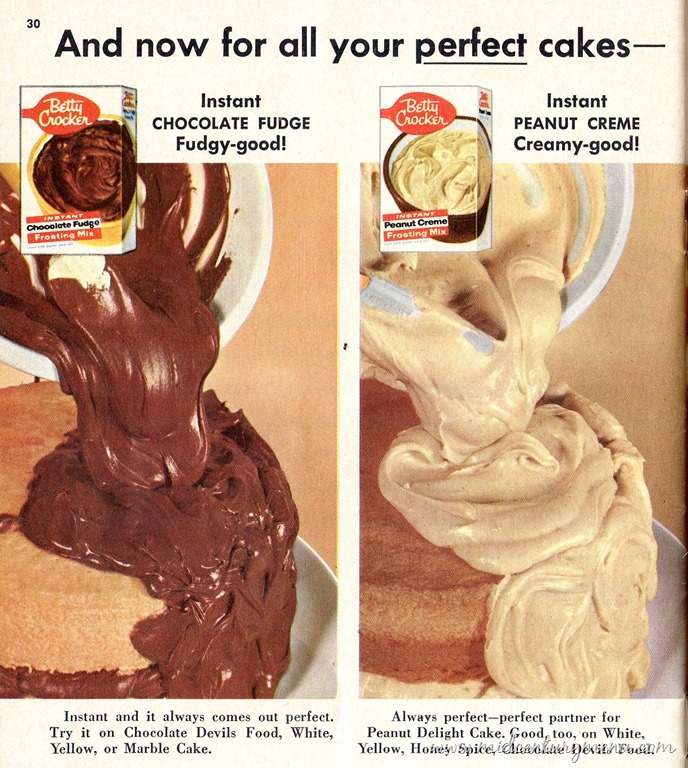 Probably just as well, even if it is icky, a half a can of chocolate frosting in the refrigerator is a dangerous thing, sending out ‘eat me’ signals late at night….